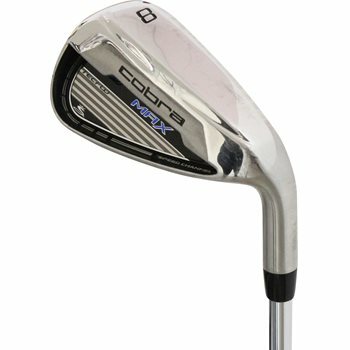 The Cobra Max iron set is designed with multiple advanced construction techniques to create more feel, distance, control, precision and forgiveness. They feature TecFlo Construction with a half hollow design in the 4-8 irons, a cavity back design in the 9-PW and a specialty wedge design in the AW and SW. Each design provides optimal CG location, increased ball speeds and shot control. The Max irons also feature Progressive Spin Technology for optimal spin and launch conditions for every club in the set. The Speed Channel Face creates more flex at impact to deliver greater distance through faster ball speeds.